Want to unlock the secret history of small-town and rural Iowa? 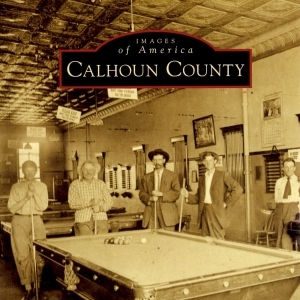 Order Calhoun County, a 128-page, illustrated, soft-cover book published by Arcadia Publishing. View the history of small-town, rural Iowa through the eyes of those who lived it. Images of America: Calhoun County showcases this unique heritage through remarkable glimpses into the past and intriguing stories that bring these images to life. Discover the regions pioneer heritage, the birth of the railroad and prairie towns, and the growth of some of most productive farms in the world. ** See how readers are reviewing Calhoun County on Amazon. Darcy Dougherty Maulsby's ancestors came to Calhoun County in 1889, settling in Elm Grove Township. Five generations of Maulsby's family, including Dougherty Maulsby and her brother, have carried on a heritage of farming, caring for the land, and supporting the local community. Along with running her marketing and communications company, she serves on the board of various Iowa agriculture groups and Central School Preservation in Lake City.